I always thought furniture restoration as the ideal way to avoid the chemicals and the low quality of mass manufactured furniture. Traditional upholstery and restoration are generally reserved for antiques and better quality furniture by rebuilding all elements from the frame up. 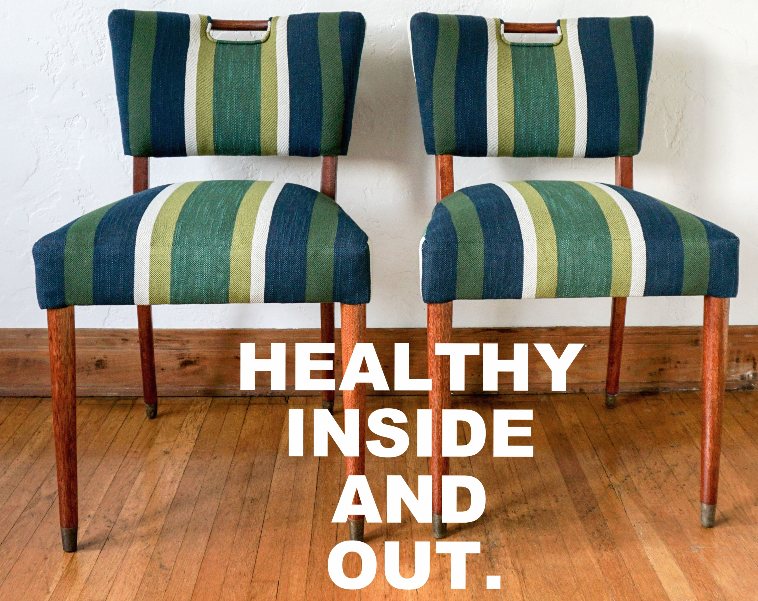 With green upholstery in the mix, the goal is to remove all toxins and recreate a piece using completely biodegradable and non-petroleum based materials. However... the upholsterer doing the actual work experiences the 'dark side' of furniture restoration. By that, I mean concentrated exposure to PBDE flame retardants found in old foam and noxious chemicals used to strip wood for refinishing. Clients reduce their bioaccumulative risk of cancer and immunotoxicity by removing flame retardants from their couch, but the restorationist’s risk increases since they’re consistently and more intensely exposed to these toxins. CLICK THROUGH: Treasures untold waiting to behold your attention. CLICK THROUGH: Toxins incognito look ugly and harmful. CLICK THROUGH: Microplastics are the big culprit to watch for. Last month the EPA sought my opinion on the use of methylene chloride and its common alternative NMP; both of which are used in strippers to remove paint and varnish from wood furniture. As a green and home based business I purposely avoid severe chemicals frequently used in larger scale furniture manufacturing, but not every worker is as lucky. In a nut shell, these chemicals are so intense that even short timed exposure can cause a heart attack or asphyxiation. In January, the EPA deferred regulatory changes as part of the Toxic Substances Control Act in hopes to further engage businesses and manufacturers involved with the furniture refinishing sector. Their concerns cover many aspects including workers’ exposure time, effects on process efficiency, fiscal impacts, and additional successful methods or chemicals not yet recognized. Let’s see what the EPA will decide. Perhaps they will limit the manufacture and import of these chemicals, or require consumer warning labels and specialized equipment for workers. In either outcome, the situation proves that toxic chemicals are more prevalent and more apparent than we think. And of course, we mustn’t forget flame retardants in old sofa foam causing genetic mutations and infertility. PBDEs enter our bodies through inhalation or consumption of dust that contain bits of flame retardant foam. Our own ‘Non-Toxic Latex Foam vs. 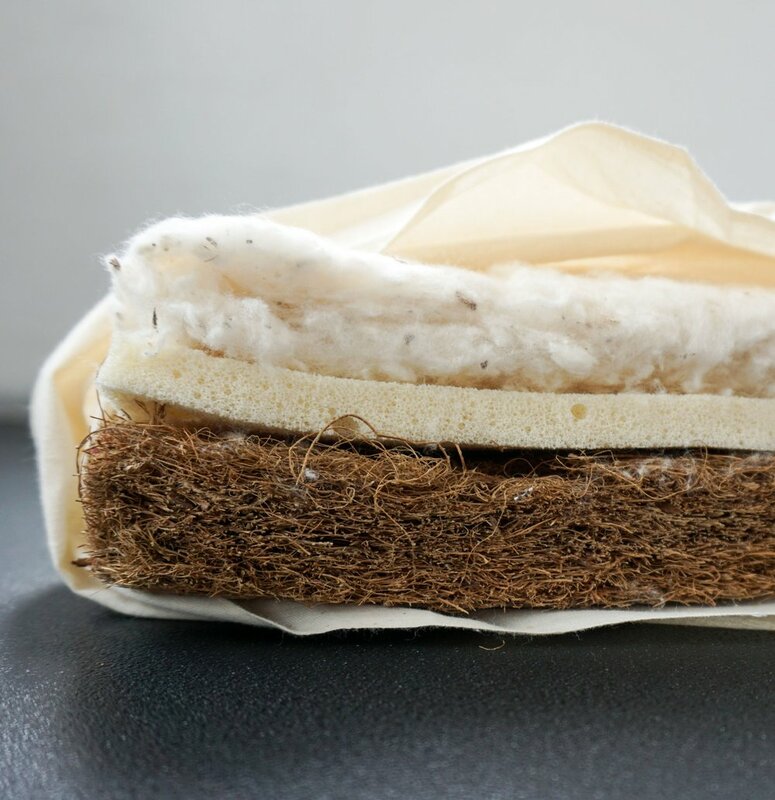 Conventional Foam’ explores the health and environmental factors of polyurethane couch foam, and ‘Understanding Product Descriptions For a Sustainable Lifestyle’ interprets furniture descriptions for safer buying decisions. Although TB117-2013 no longer requires manufacturers to use flame retardant couch foam, furniture built between 1975-2014 most likely contains flame retardants. Figure it out with the below chart, check your current white labels, and make sure to read the white labels on new purchases. Was your couch made between 1975-2015? The Green Science Policy Institute knows all the dangers and details of flame retardants. The white label indicates whether your furniture contains flame retardants. (TB117-2013). 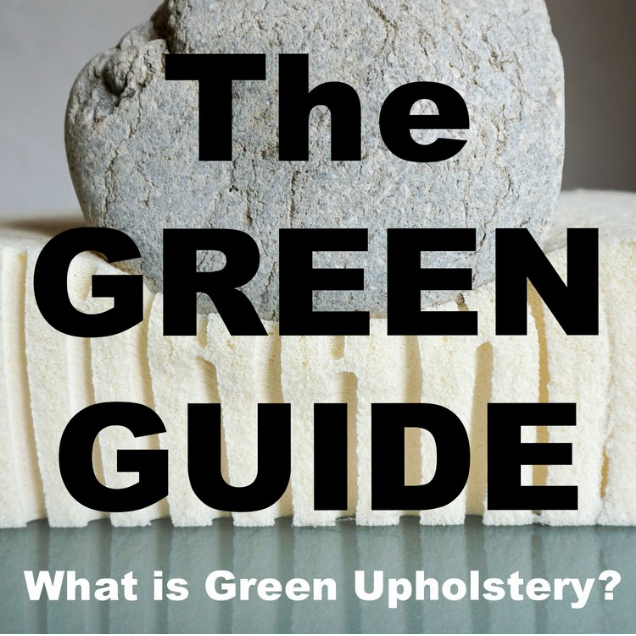 Click here to find out how to quantify the value of Green Upholstery. As a woman of child bearing age who still wants children, deciding which projects I proceed are more than a business transaction. I always require a photo to quote from, not only to judge the dimensions of the materials needed, but also to decipher the restoration process. Unsavory projects like wood refinishing that require chemical stripping or obviously mass manufactured couches full of flame retardant foam are generally a no-go for me. Just as a client decides if the financial investment and benefits of green restoration are worthwhile, I too, consider much the same. Do I trash or restore these beautiful and toxic chairs that I’ve been hoarding? Are these chairs better off in the landfill leaching PBDEs into the dirt and water or releasing foam bits into the air? Maybe full restoration is best kept for genuine antiques or certain mid-century seats? Most likely I will take the high road and trash them, but deciding which side to belong, is a decision we all eventually will make. Time’s You Asked: Can My Couch Give Me Cancer?